Filed in the category of “Did you know?” it takes approximately eight minutes for a space shuttle to reach orbit. This factoid apparently led to the name of Quicken’s latest mortgage tool – Rocket Mortgage – as we are told that a home loan approval takes, yes, eight minutes! The first time I read about Rocket Mortgage, I was excited and intrigued. I have been waiting for the mortgage industry to “catch up” and make more and better use of technology for many years. Has Rocket Mortgage finally “gotten there”? Here’s what my research is showing. A YouTube website video shows a happy couple buying a home and, later, refinancing it to obtain funds to remodel a room for a nursery – all online and very, very quickly. I was surprised to see less than 46,000 views associated with this 1 minute, 27 second film. But Rocket Mortgage was just launched recently and, let’s face it, the home market and mortgage industry “ain’t what it used to be”. But perhaps the Super Bowl will help to change that. What?? Rocket Mortgage’s initial somewhat gruesome TV ad was updated and targeted for display on Super Bowl Sunday. To me, viewing this ad demonstrates that Rocket Mortgage is all about –Millennials. And it wasn’t just Rocket Mortgage focusing on the up and coming spenders. According to Bloomberg’s “Beer, Cars and Mortgages? Super Bowl Ads Go Financial This Year”, Michaela Ross states, “At least six financial brands have purchased air time for the television spectacle that attracts more than 100 million viewers, aiming to establish a place among more mainstream institutions by promising easy and convenient ways to manage your money. The Super Bowl featured just two financial-services ads last year and three in 2014.” Included were, SoFi, previously discussed here, as well as PayPal Holdings Inc., SunTrust Banks Inc., TurboTax and Intuit Inc.
Ms. Ross opines the theme is optimism, that the Rocket Mortgage ad portrays the socially positive effects home purchases and remodeling have on the economy. However, Casey Fisk posted an article on LinkedIn which stated, “Not all Millennials are created equal, but most if not all Millennials are concerned with issues of equality and social consciousness. Millennials are a valued marketing demographic but our values are more often than not misunderstood by marketers.” The Rocket Mortgage Super Bowl ad seems to show that their marketers do understand. But, clearly not everyone is positive, optimistic, or even flattering. Check out comments by the CFPB, Mark A. Calabria, director of financial regulation studies at the Cato Institute, right-wing political commentator Ben Shapiro, and CNN’s Soledad O’Brien who tweeted during and after the big game, as reported by the National Mortgage Professional Magazine. Read even more, err, less than supportive and positive feedback at CNN Money, Yahoo News, and Time.com. Or get a taste of the flip side via the Wall Street Journals’ blog. It’s almost as if this ad was beyond the Beyoncé controversy which continues on all social media options! See more on that here. What happens after choosing “Get Started”? Although Rocket Launcher uses its own “algorithms”, the mortgage approval process essentially remains the same. See this blog for more on that process. For now, if you are a homebuyer or a person in search of a refinance, here’s how Quicken Loans Rocket Mortgage Product Lead, Regis Hadiaris described things in Nasdaq’s “Disruption in Just 8 Minutes? How Quicken Loans Is Revolutionizing the Mortgage Market”. “We said, “There’s a better way. Why don't we have clients import that information upfront?” Then, number one, we can deliver a more accurate mortgage solution and, number two, there’s less work for the client later because they've already given us data during the mortgage application process. What sort of personal data does Quicken access and how is it used? First, we don't do anything without your permission. You give us the permission and access. We do a full three-bureau mortgage credit pull. We analyze, not just the credit score, but also the whole credit report. When we deliver solutions to you, we’re looking at everything we talked about. Looking at the property, the income, the assets, the credit, your entire unique situation. Then we have a set of proprietary algorithms that analyze all of that. The algorithms look at our products and pricing and our current rates that day and our mortgage underwriting guidelines. Then we offer up the best solution for you completely customized to your situation. To be clear, when you say “we,” you don’t mean an actual human, right? Yes, absolutely. The Rocket Mortgage system does all the work. Then the system enables clients to click a button to be approved online and lock their interest rate online too. 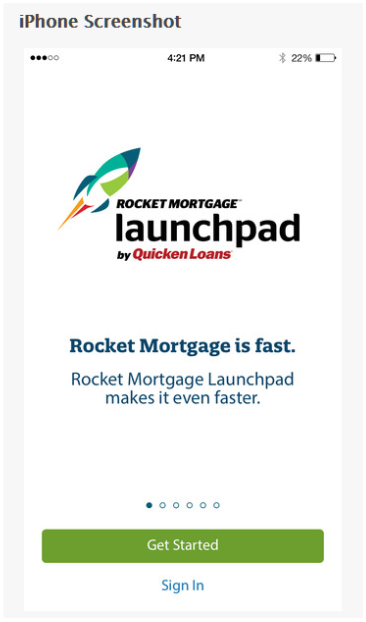 Next, listen to Quicken Loans Founder and CEO Dan Gilbert explain the “liftoff” – the cost and time complexity of developing Rocket Mortgage -- on this MSN video clip. Last November, TechCrunch posted “This Could Be the Mortgage Industry’s iPhone Moment”and it’s about time. In terms of time, Rocket Mortgage was created over 5 years, using a team of 450 people, and involves a process that takes approximately 8 minutes as reported in Money. Quicken Loans sees Rocket Mortgage as the turning point in home financing. - The app initially wants to know what you want to do – take cash from the equity in yourhome, purchase a new home, refinance an existing mortgage? - Personal identification is next. This is accomplished via a scan of your driver’s license,for example. - The property is the succeeding focus. Rocket Mortgage uses all agencies and databases to which they have access (with your permission) to generate taxes, historical data, etc. - Rocket Mortgage will use your social security number to generate and fill in employment data. - In terms of verifying assets and supplying your credit information, Rocket Mortgage attempts and mainly succeeds in gathering this data via public and proprietary records, often automatically. - When all facts have been collected, Rocket Mortgage will generate a list of fees and the expected payment (and you can adjust the rates/point combinations to compare). 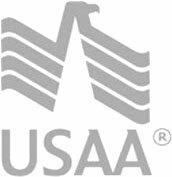 You may get approved, or your application may be denied, or you may have to supply additional information – just like a normal mortgage application, but in a much faster time frame. If approved, the loan can close in a week, but is “only as fast as the slowest vendor, such as local municipalities and insurance companies,” TechCrunch reports. And while you can call a Quicken Loan representative at any time during the process with question, that might also slow down the process. - While you may choose to compete the entire application on Rocket Mortgage’s site, you may also choose not to proceed with the financing. However, don’t be naïve. This means Quicken Loans has all of your data and they will solicit you. Of course you can opt out, but do expect to be, well, spammed. - Completing an application with Rocket Mortgage will generate an inquiry on your credit report and could subsequently hurt your score. Maria Paulina Pagano, REALTOR® notes that “Many scoring models will count all mortgage inquiries as one, provided they take place within a 14- or 45-day period” – but some won’t. - Rocket Mortgage is essentially a self-service tool which implies speedier turn times. But Keith Gumbinger, vice president of mortgage and consumer lending information site HSH.com, isn’t convinced that a service like Rocket Mortgage will speed up the home buying process at all for inexperienced and first-time shoppers who may have questions that slow down the process. - Rocket Mortgage’s website says that the platform has bank-level encryption and 24/7security monitoring, but Gumbinger also worries that volunteering personal financial information to a third party creates new ways for a buyer’s financial and personal data to be compromised. “To just allow some outside party to go through, traipsing through your personal finances, just to get a rate on a mortgage, there’s that and the concern of not necessarily knowing what you’re getting yourself into,” he says. “How much would you pay to fully do a loan on line? Quicken Loans will find out as it launched the "first fully online mortgage process." (One industry vet reminded me of ELoan's work 20 years ago, but that was different.) "With Rocket Mortgage, homebuyers and refinancers can submit or import all their financial information, fully customize their mortgage solution and lock their interest rate completely online in as few as eight minutes." One more note of interest, California homebuyers also have a speedy mortgage option via the new service Google Compare: Mortgage.